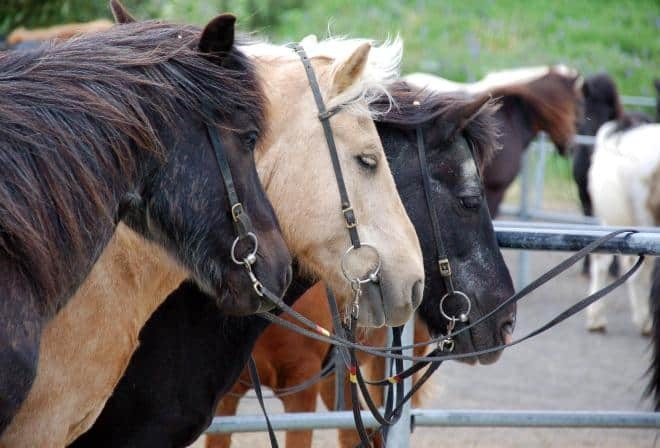 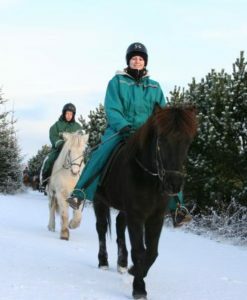 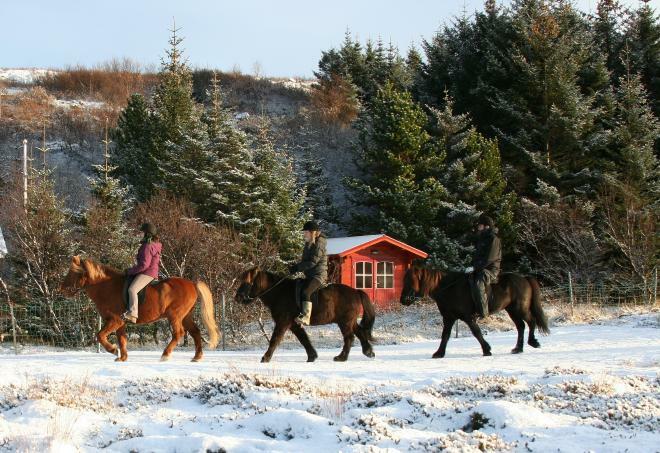 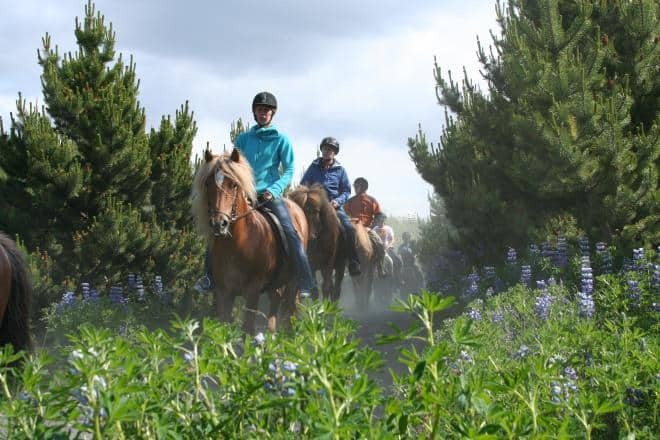 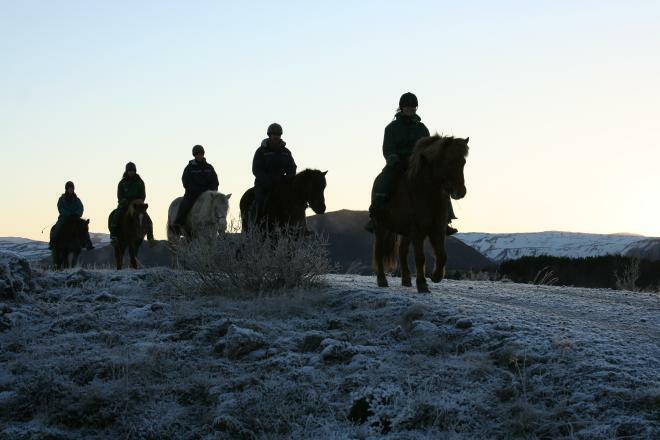 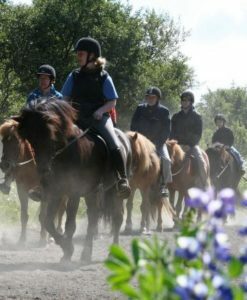 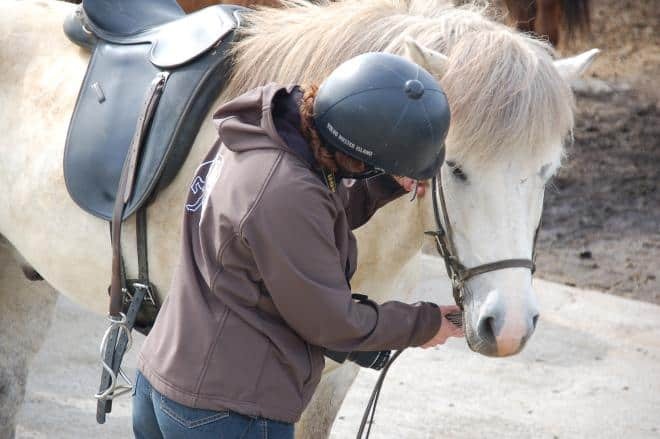 This horse riding day tour is ideal for beginners who want to enjoy unspoiled nature while riding the amazing Icelandic horse. 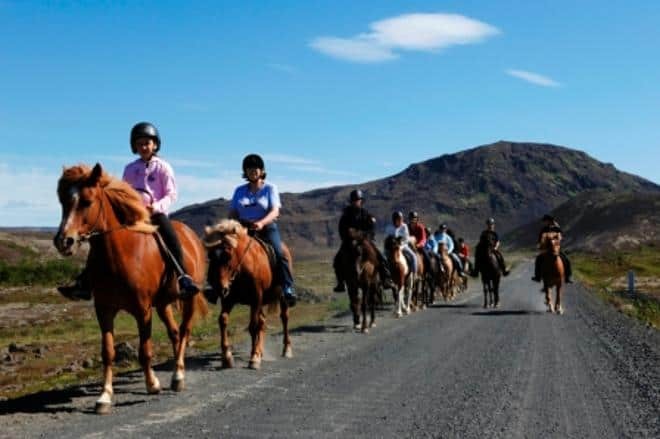 This horse riding day tour is ideal for beginners who want to enjoy unspoiled nature while riding the amazing Icelandic horse. 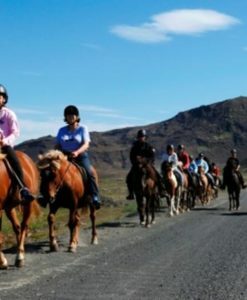 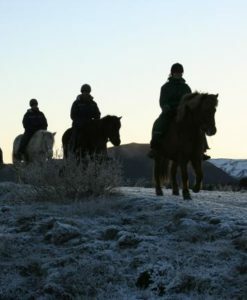 Our guides lead you at a slow and steady pace on excellent riding paths surrounded by moss-covered lava fields and beautiful scenery allowing you to fully enjoy both the unique Icelandic horse and our incredible nature. 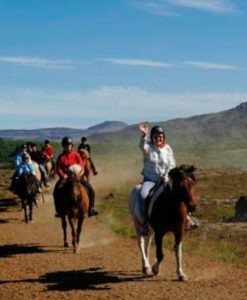 Be sure to take a moment to enjoy Bláfjöll mountains on the horizon during the tour! 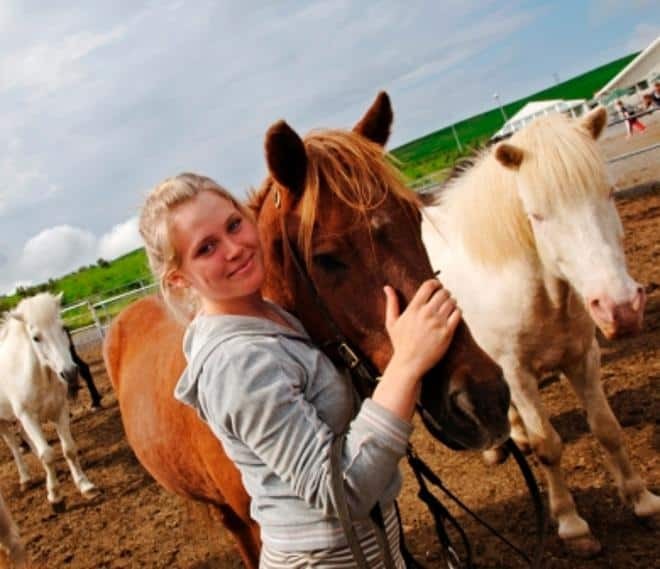 When we arrive back at the stables enjoy complimentary coffee, tea and hot chocolate and feel free to ask our staff any questions about the Icelandic horse. 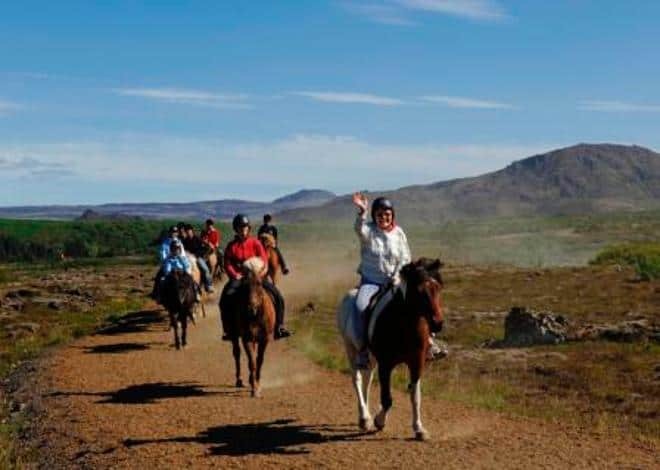 At Íshestar we take pride in our personal service and limit group sizes to be 20 or below per riding group to ensure a safe and enjoyable tour for all of our guests. 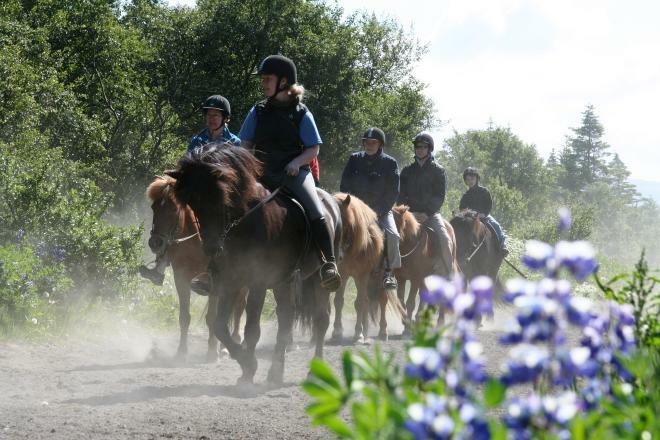 This tour is ideal for beginners and is a fantastic choice for a day tour in Reykjavík. 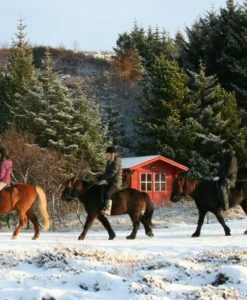 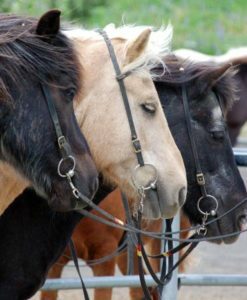 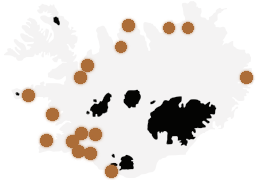 Our stables are located a short 20-minute drive outside of Reykjavik’s city center and transportation to and from our stables is included. 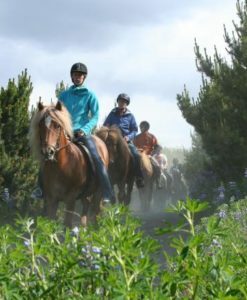 If you prefer a faster pace than walk we recommend other tours options. 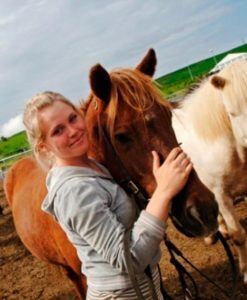 I loved this tour!! 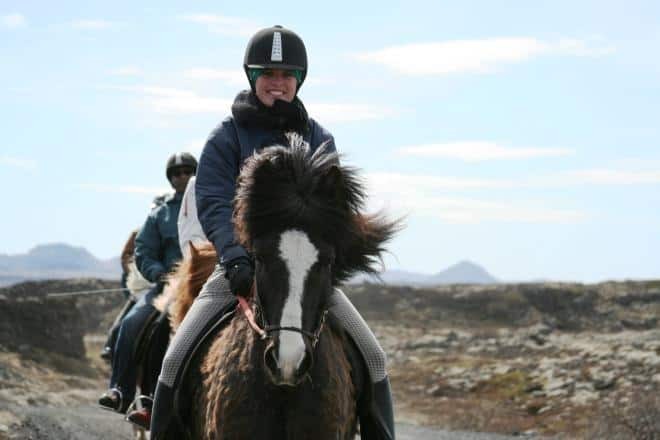 I got picked up at my hotel and brought to the stable where I was briefed and equipped with riding gear and the most perfect Icelandic horse named Scripa. 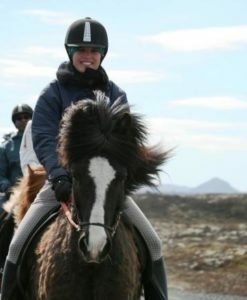 We then rode for about an hour (if I remember correctly). 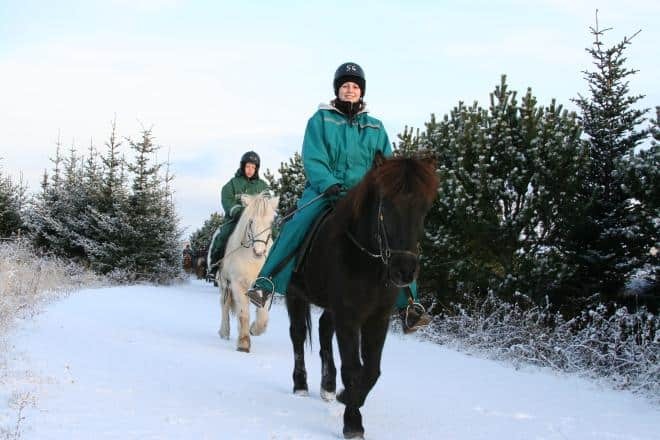 The journey was beautiful and the two riding instructors were so lovely. 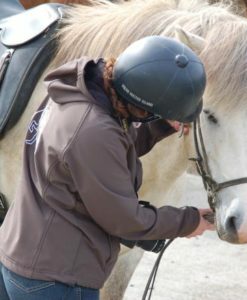 I highly recommend this to anyone!